Continue our conversation about food addiction, Part II will be discussing how food and food additives like MSG (monosodium glutamate), artificial sweeteners, wheat, dairy and processed sugars all contribute to food addiction. In particular, what types of substances are in these foods and additives that may cause you to crave them, experience “tolerance” and “withdrawal” symptoms that take part in food addiction. Extensive discussion about how these foods and additives effect your gut and brain will help you to see that we develop chemical dependencies drinking and eating these products. A brief discussion about the role “grief” partakes in weaning yourself off these foods and additives will be helpful since we all have an emotional connection to food. The final section will connect the roles that detoxification, supplementation, healthier foods and other lifestyle changes can lead you to a place where foods no longer have control over you. Did you miss Part I: The Role Trauma Plays? When you pick up canned, bottled and/or boxed foods and drinks at the store today, the chances of having artificial sweeteners in them is highly probable. 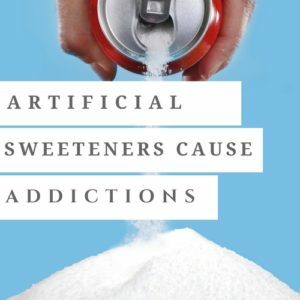 The origins of creating artificial sweeteners and putting them in our food and drink supply is to appease our desire for the taste of sweetness without feeling guilty. The added bonus is that these artificial sweeteners are void of any calories. This social demand has allowed the big food industry to create something for us so we can have our cake and eat it too. The thought of how these sweeteners may harm our health long-term does not come to mind. The medical, health and wellness industry and weight loss industry has conditioned us to think that calories is what matters and what ever is low in calories or even no calories gives us the green light to consume. Artificial sweeteners like galactose, maltodextrin, saccharin (sweet n’low), aspartame (equal or nutrisweet), sucralose (splenda) acesulfame-K (sunett) are just a few that are found in many foods and drinks today. They are also found in gums, candy and other junk foods. You may find them even in so-called healthy nutrition bars, yogurts, juices, etc. The health and medical community thought these were safer alternatives, however, research is showing that they may cause metabolic syndromes. Disorders like obesity and dysbiosis (an imbalance of healthy gut bacteria). Once your gut bacteria is altered by these sweeteners, your gut will literally start to crave whatever is causing the imbalance in the first place, so the chances of consuming more of it from the diet soda or processed foods will increase calorie intake and increase weight gain. There is substantial research showing that drinking diet drinks may be leading to weight gain and it is connected to how it changes your gut bacteria. Who knew that a zero calorie diet drink may cause you to crave it, change your gut bacteria and increase your waist line all at the same time?? Foods and drinks containing these artificial sweeteners is only leading to more addiction, weight gain, depression, etc. The hope was to make a safer sugar alternative but it has made us more depressed, addicted and over weight. How ironic! Often times when we read or hear the word MSG, the first thought for many is Chinese food. Besides Chinese food, you can find MSG in soups and other processed foods. You may have found yourself being able to consume larger portions of Chinese food, chips, processed meats, soy sauce, other Asian cuisines and many other processed foods with MSG in it than other types of foods. What are some possible explanations for this? You have two types of hormones that regulate “hunger” and “satiety” from foods that we eat. The first is “ghrelin” the hormone called, “the hunger hormone.” The secretion of this hormone releases peptides by endocrine cells found mostly in the stomach lining to increase metabolism efficiency and stimulate appetite. The second is “leptin” the hormone called, “the satiety hormone.” This hormone is made by adipose cells to regulate energy balance and inhibits hunger. Leptin is primarily found in the hypothalamus in the brain. The hypothalamus overall regulates hunger in the brain. Research has shown that eating MSG rich foods increases the production of leptin that can lead to leptin resistance. Leptin resistance may damage the hypothalamus down-regulating your brains ability to control hunger and satiety. People who consume MSG have increased their weight without any calorie changes. Consuming foods containing MSG is larger amounts will effect your body’s ability to metabolize the food itself. MSG is a metabolic disruptor and de-regulates your body’s ability to regulate hunger and satiety naturally. It is why you eat more without feeling full. Your hypothalamus does not stimulate the hormone leptin to tell you that you are full. Research is also showing the potential hazards MSG has on your gut bacteria. Once you consume enough MSG and it effects the gut-brain connection that control appetite stimulation and appetite suppression, it is no wonder people are developing what some researchers are calling, “Chinese restaurant syndrome.” You or someone you may know may have experienced going back to Asian cuisines more and more over time. Or you find yourself eating bags of chips without ever feeling full. MSG has highjacked your intestines and brain. You may become more tolerant of these foods over time that allow you to consume more and more of it with each bite. Withdrawal symptoms may occur like cravings, headaches, anxiety, mental fogginess, etc. To alleviate these symptoms, you will need to consume more of it. Your body literally can becomes chemically dependent on it. 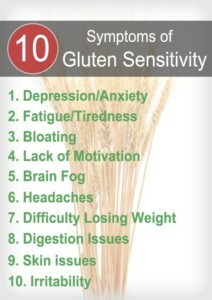 In current mainstream health circles, you hear a lot about the role gluten plays in being healthy or unhealthy. So there has been a big push to eliminate wheat out of our diets today and for good reason. The wheat that we are harvesting today is very different than ancient forms of wheat that have been around for 10,000 years, i.e., eikorn wheat. You or someone you may know are well aware that we consume lots of foods today containing wheat, such as, baked goods, pizza, pasta, breads, cakes, etc. They are what we call “comfort foods.” In a way they are because you may experience a feeling of euphoria after eating these foods. In fact, when we are stressed, we tend to gravitate towards these foods. You or others may even obsess about these types of food and look for the next available fix. Why is this? Let’s get into some biochemistry to help us understand why wheat is so addictive. Your body literally goes into “withdrawal” after the initial metabolization of wheat occurs and your blood sugar levels drop making you consume more of it. The more you consume these foods, the greater the “tolerance” your brain has and the more you will consume over time as well. The withdrawal symptoms that can occur from consuming wheat are fatigue, irritability, inability to function at work or school, depression, etc. Wheat has also been shown to cause gut permeability, meaning it can lead to leaky gut syndrome. 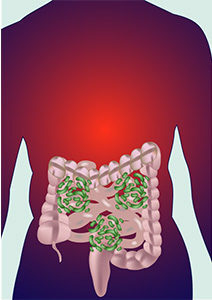 Toxins from your gut can enter the blood brain barrier and cause metabolic distress in the brain. This phenomena only increases the detrimental mental health effects you may experience eating wheat products. 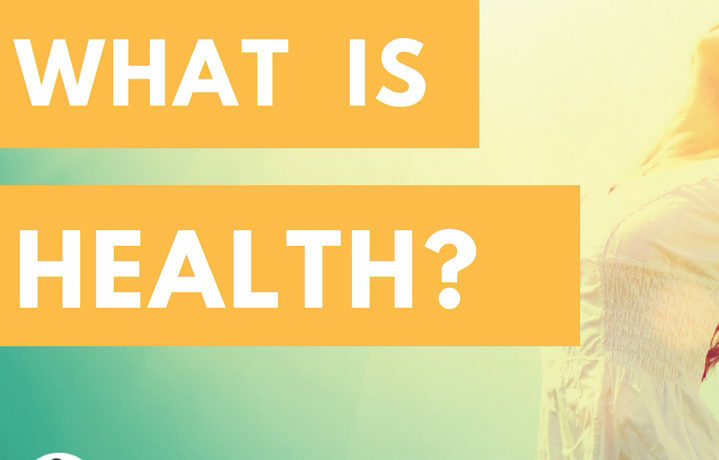 Learn more about our Digestive Health and how it can help with you digest food better! Dairy- the most addictive food on the planet! For decades we have been told through newspapers, t.v., billboards, doctors, nutritionists, and now through social media marketing to drink milk and to consume dairy products. We have to get our vitamin D and calcium from somewhere right? Well what you may not know, is that modern pasteurized dairy in the form of milk, creamers, cheese and ice cream is one of the most addictive foods on the planet. Again, we have to look at the chemistry of these foods and how it effects our biochemistry leading to addiction. The primary protein found in dairy products is “casein.” Once you consume milk and it enters the digestive system, casein breaks down into a peptide called, “casomorphin.” Just like gluten found in wheat, casein in dairy products literally attach to opiate receptors in the brain. For a long time scientists thought that the blood-brain barrier was unbreakable by foreign or hazardous molecules. We now know that this is untrue. The blood-brain barrier can be broken and harmful molecules like those found in food and literally break down brain metabolism and/or over-stimulate the pleasure centers of our brains. 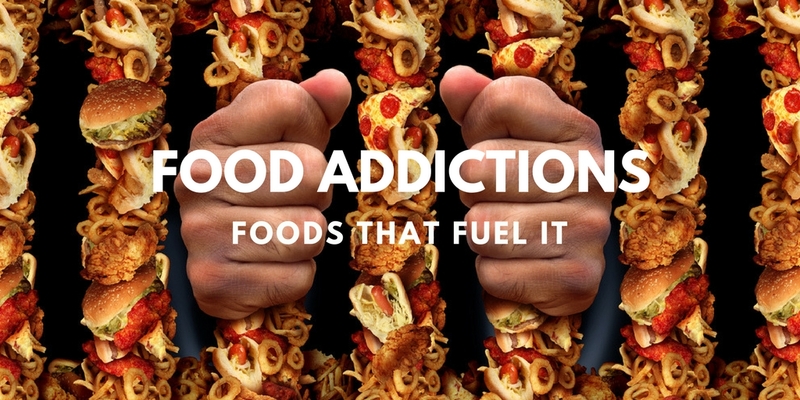 The Yale Food Addiction Scale measures a person’s dependence on food and they claim that cheese is a potent food to get addicted to because of the high amounts of casein protein found in cheese. It is no wonder that many people are addicted to cheese and ice cream. One reason may be because it takes 10 cups of milk to produce 1 cup of cheese or ice cream. Cheese and ice creams casein protein levels are much higher than milk. It is casein protein on steroids! Other studies have shown that high consumption of ice cream lead to lower dopamine levels in the brain. Consuming these two foods may down-regulate your natural dopamine centers in the brain and create withdrawal symptoms and trigger you to consume more cheese and ice cream. Your tolerance level goes up over time and it may not surprise any of us to see that we just cannot get enough cheese and ice cream. Another phenomena that occurs when we consume dairy foods is poor gut health. We do not digest these modified proteins and fats well and with the added sugar, it creates a massive assault to our intestines. Dairy proteins, fats and added sugars cause the food to ferment abnormally in the intestines and lead to dysbiosis (imbalance of gut bacteria). The changes in our gut bacteria from consuming dairy foods will only lead to cravings. Eating dairy foods with the production of the metabolite casomorphin and dysbiosis only increase your addiction to these foods. To make matters worse, dairy foods also trigger histamine production. When histamine production occurs when we eat foods like dairy, a way to silence the histamine response is to consume the food over and over again. There you have it! Casomorphins, dysbiosis and histamine production is the recipe for being addicted to dairy products! Let’s listen to nature for a minute. Human breast milk contains only 2.7 grams of casein protein per liter; while cow’s milk contains 26. Humans do not get addicted to human breast milk but we do to cow’s milk. 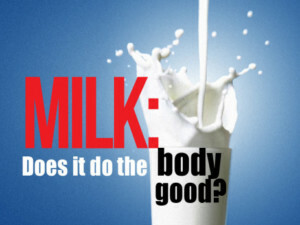 Maybe it is time we stop consuming another species milk or turning it into pleasurable foods like cheese and ice cream. It is literally causing us brain damage and increasing food addiction with physiological and psychological effects. The bodies main source of energy comes from foods we eat that break down into glucose and fuels our body. The problem comes from our consumption of refined sugars. Primarily our consumption of table sugar and high fructose corn syrup (HFCS). The startling statistic about sugar consumption in America is that it has increased 1000% between the years of 1970 and 1990. In fact, majority of Americans consume about 150 lbs of it every year. What used to be a luxury item, is now the most substance found in our culture today because it is cheap and it is found plentiful in our food and drink supply. Let’s focus on high fructose corn syrup (HFCS) and its addictive properties. You see HFCS in sodas, boxed and canned foods, condiments, salad dressings, candy and other junk foods. Unlike table sugar, HFCS metabolizes differently. When you ingest table sugar that contains glucose and fructose, they must be split during the process of digestion. In HFCS the glucose and fructose are already split. What this means is that it gets into your bloodstream much faster than table sugar. This increases a spike in your blood sugar at rapid speed. When fructose circulates in the blood increasing blood sugar levels that lead to sugar crashes, you have more sugar cravings, so you want to consume more of it. As a result, you increase your intake of calories that lead to weight gain. HFCS also effects your gut bacteria causing dysbiosis. The changes in your microflora will lead to greater cravings because the unhealthy bacteria needs the sugar to survive and thrive. Your gut bacteria is sending your messages to feed it with sugar! Yes, gut microbes have a way to influence our minds and decision making. More research needs to be done to ascertain these assertions and it is only a matter of time when scientists affirm this gut-brain connection. HFCS also inhibits the hormone leptin. Remember, leptin is the hormone in the hypothalamus that tells you when you are full and is de-regulated by HFCS molecules, particularly fructose. HFCS does not suppress the hormone ghrelin. The hormone that triggers hunger and so your body keeps telling you to keep eating the HFCS. The image of the cookie monster is real for some of us! HFCS consumption will also de-regulate our dopamine centers in the brain. You may have feelings of pleasure when you eat HFCS but over time the dopamine levels in your brain become less. You literally develop a tolerance from eating foods and drinks with HFCS in it and may experience withdrawals from it it as well. Symptoms like headaches, depression, foggy thinking, lack of concentration are only a few. It is a little ironic how foods and beverages that contain wheat, dairy, sugar, MSG and sugar substitutes have similar physiological and psychological effects contributing to the food addiction epidemic. The reality is that those who follow a standard American diet consume high amounts of these foods, additives and sugar substitutes on a daily basis. When you consume all these foods and additives it creates a cumulative effect that perpetuates the cycle of food addiction. You’re not alone. There’s a way out! We all have an emotional connection to foods and drinks and so it takes a grieving process to begin to let go of our emotional attachment to these foods and drinks. Let’s explore this briefly. If you find yourself asking, “what does grieving have anything to do with food addiction?” then this is a reasonable question to ask. Many of us use the language of “comfort foods” and this article describes how this is a psychological and biochemical truth. The feelings of euphoria that occur eating and drinking these substances is a strong force working against us and feeds the addiction. You still may be in the denial stage by avoiding the reality that these foods and drinks are leading to your poor mental and physical health. Even the thought of eliminating these foods and beverages out of your life may create feelings of anxiety and anger. These two emotions then may take the form of depression for you. It is only when you get to a place of “acceptance” that these foods and drinks are making you sick that you will be open to change your life for the better. You hear this word a lot these days but let’s see what specific ways you can detox your body and mind to help reset your biological clock. In order to maximize your results, cleansing the body is needed. Warning! You may experience intense detox symptoms like mental fogginess, irritability, mood swings, increased depression, extreme food cravings, low energy/fatigue, flu like symptoms, digestive and bowel detox symptoms (i.e., diarrhea, constipation, gas, cramping, etc.) and the list goes on. There has to be a period of time to cleanse your body because your body needs to become chemically independent of these foods and additives. It may sound like you are coming off substances like alcohol or illegal drugs and in a biochemical way, they are very similar. The way these products effect your brain and body will make you experience withdrawal like symptoms as if you were coming off alcohol or drugs. These foods and additives are toxins and require detox to rid them from the body. Caution: If you have been diagnosed with any major metabolic syndromes make sure you consult your physician before starting any detox program. We want to rid the body of these toxins, however, we need to ensure you do not create conditions like “auto-toxemia” where toxins are overloaded in your body and can create serious side effects. Juicing organic fruits and vegetables: Fresh juice will allow your body to pull toxins out of your tissues and organs and nourish it at the same time. This is the best way to neutralize all the metabolic acids in your organs and tissues produced by these toxic foods and additives. Drinking Ionized Kangen Water: This electrically charged and alkaline/mineral rich water will increase your hydration levels and help to neutralize metabolic acids in your organs and tissues. Cleansing the gut with enzymes and probiotics: Digestive Health is the perfect gut cleansing product as it will assist in repopulating your intestines with healthy strains of probiotics that will help to reduce food cravings. It also includes plant based enzymes to help digest your food and clear out any undigested toxic waste remaining in your intestines. Getting proper digestive function will only increase better mental well-being! Greens, Greens, Greens: Consuming dark leafy greens will feed your gut bacteria, detox and nourish your body. The most convenient way to make sure you eat your greens is a teaspoon a day of Core Greens. These greens feed your gut bacteria, bind toxins throughout the body and provide high levels of nutrients for your body. These four easy steps can do wonders to get you on the right track! They are not just for detox, they can be a part of your everyday new lifestyle. By changing the water your drink, juicing, consuming more greens, taking green powders and using enzymes and probiotics is the simplest and easiest way to reset your gut, brain and the rest of your body. To learn more about how to detox, check out the article, Why Detox?, to gain more insight and similar points on how to detox safely and effectively. Essential Fatty Acids: Good fats like Core EFAs will provide your brain with omega 3 fatty acids to nourish and detox a toxic brain. Plant Based Diet: Eating a diet consisting of 70 to 80% organic plant foods has shown in research to be one the most effective lifestyle for long term mental and physical health. Check out Dr. Colin Campbell’s book, “The China Study,” to see that this way of living is the most researched out of any diet program in the world. Exercise Exercise Exercise: Strength training and cardiovascular training is extremely helpful in riding the body of toxins, create a better gut environment, gaining better brain health, stabilizing blood sugar, reduce detox symptoms, reduce anxiety and depression and so many more health benefits. Mindfulness Meditation, prayer, and other modes of spiritual practice: Any type of meditation that engages the mind and body will help to reduce stress, anxiety, depression, etc. 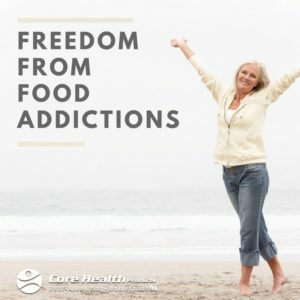 Besides gravitation towards harmful foods or drinks that will keep food addiction alive, using these methods will become a new healthy coping skill. Reducing cortisol production using these spiritual and bodily practices can help you overcome times of stress that trigger food addictive habits. Being at peace spiritually will only help your mentally and physically. Boundary Setting: Family or friends can be good or bad for you. The ones who tend to add stress, are co-dependent and controlling, go to you for every ill or relationship issue, continue to be emotionally abusive, etc., are the ones you need to set boundaries with now. Boundaries look like setting limits on when you see them, talk on the phone with them, saying “no” when they ask for things, etc. People can be another reason we may gravitate towards unhealthy foods and drinks. Stick around someone or a group of people long enough and the next thing you know, you are eating that chocolate cake to deal with the stress. You may experience opposition when you do this, but once you do, it will liberate your life tremendously. May you experience better health dealing with any trauma you have! Campbell, T. Colin, PhD. The China Study. Dallas, TX. BenBella Books, Inc., 2006. Carson, E. Ralph, PhD, RD, LD. The Brain Fix. Deerfield Beach, Fl. Health Communications, Inc., 2012. Davis, William, MD. Wheat Belly. New York, NY. 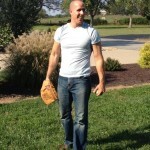 Rodale, Inc., 2011. Perlmutter, David, MD. Grain Grain. New York, NY. Little Brown Company, 2013. Perlmutter, David, MD. Brain Maker. New York, NY. Little Brown Company, 2015. A. Abott, “Sugar Substitutes Linked to Obesity, “Nature 513, no. 7518 (September 18, 2014): 290, doi: 10.1038/513290a. Bush, R.K., et al. Adverse reactions to food and drug additives. Chapter 6 in N.F. Adkinson Jr., ed., Middleton’s Allergy: Principles and Practice. 7th ed. Philadelphia, PA: Mosby Elsevier, 2008. He, K., Du, S., et al. Consumption of monosodium glutamate in relation to incidence of overweight in Chinese adults: China Health and Nutrition Survey (CHNS). American Journal of Clinical Nutrition (2011) 93: 1328-36. He, K., Zhao, L., et al. Association of monosodium glutamate intake with overweight in Chinese adults: The INTERMAP Study. Obesity (2008) 16: 1875-80. Kwok, R.H.M., et al. Chinese restaurant syndrome. New England Journal of Medicine (1968) 18: 796. McEntee, W., and Crook, T. Glutamate: Its role in learning, memory, and the aging brain. Psychopharmacology (1993) 111: 391-401. Schaumburg, H.H., Byck, R., Gerstl, R., and Mashman, J. H. Monosodium L-glutamate: Its pharmacology and role in Chinese restaurant syndrome. Science (1969) 826-28. Tarasoff, L. Monosodium L-glutamate: A double-blind study review. Food and Chemical Toxicology. (1993) 31: 1019-35.
van den Pol, A. N., Wuarin, J. P., and Dudek, F. E. Glutamate, the dominant excitatory transmitter in neuroscience regulation. Science (1990) 250: 1276-78. Butchko, H., et al. Aspartame: Review of Safety. Regulatory Toxicology and Pharmacology (April 2002) 25 (Part 2): S1-S93. Chen., L., et al. Reduction in consumption of sugar-sweetened beverages is associated with weight loss: The PREMIER trial. American Journal of Clinical Nutrition (2009) 82: 1299-1306.
de Koning, L., Malix, V.S., Rimm, E. B., Willett, W. C., and Hu, F. B. Sugar-sweetened and artificially sweetened beverage consumption and the risk of type 2 diabetes in men. American Journal of Clinical Nutrition (2011) 93: 1321-27. Dhingra, R., et al. Soft drink consumption and risk of developing cardiometabolic risk factors and the metabolic syndrome in middle-aged adults in community. Circulation (2007) 116: 480-88. Ford, H. E., et al. Effects of oral ingestion of sucralose on gut hormone response and appetite in healthy normal-weight subjects. European Journal of Clinical Nutrition (2011) 65: 508-13. Fowler, S. P., et al. Fueling the obesity epidemic? Artificially sweetened beverage use and long-term weigh gain. Obesity (2008) 16: 1894-1900. Kroger, M., Meister, K., and Kava, R, Low-calorie sweeteners and other sugar substitutes: A review of the safety issues. Comprehensive Reviews in Food and Safety (2006) 5: 35-47. Vartanian, L. R., Schwartz, M. B., and Brownell, K. D. Effects of soft drink consumption on nutrition and health: A systematic review and meta-analysis. American Journal of Health 97 (April 2007): 667-75. Zioudrou C., Streaty RA, Klee WA. Opiod peptides derived from food proteins. The exorphins. J Biol Chem 1979 Apr 10;254(7):2446-9. Pickar D, Vartanian F., Bunney WE Jr et al. Shoert-term naloxone administration in schizophrenic and manic patients. A World Health Organization Collaborative Study. Arch Gen Psychiatry 1982 Mar;39(3):313-9. Cohen MR, Cohen RM, Pickar, Murphy DL. Naloxone reduces food intake in humans. Psychosomatic Med 1985. March/April;47(2):132-8. Drewnowski A, Krahn DD, Demitrack MA et al. Naloxone, an opiate blocker, reduces the consumption of sweet high-fat foods in obese and lean female binge eaters. Am J Clin Nutr 1995;61:1206-12. Davidson, R. J. Buddha’s brain: Neuroplasticity and meditation. IEEE Signal Processing Magazine, January 2008. Davidson, R. J., Kabat-Zinn, J., et al. Alteration in brain and immune function produced by mindfulness meditation. Psychosomatic Medicine (2003) 65: 564-70. Hayes, S. C. Mindfullness and Acceptance: Expanding the Cognitive Behavioral Tradition. New York: Guilford Press, 2004. Maddern, J. Yoga Burns Fat: Minneapolis: Fair Winds, 2002. Newberg, A., D’Aquili, E., And Rause, V. Why God Won’t Go Away: Brain Science and the Biology of Belief. New York: Ballantine Books, 2002, 90. Posner, M. Meditation a quick fix for stress. Proceedings of the National Academy of Sciences (October 11, 2007). Thanks to conversations with Jessica Saunders, Shannon Kerr and Andrea Hickey for all their insights!